Vanitha Satchithanadan, Director of AUSMAT at Sunway College also acknowledged her academic team who have nurtured their students well especially AUSMAT student mentors who have made a difference in helping their peers. Through the dedication of the academic team, students have performed better than those in Australia, consistently attaining good results which has placed AUSMAT at Sunway College in the top ten percent of the yearly ATAR (Australian Tertiary Admission Rank) exam. In tune with the day’s celebration was a Talent Time featuring a line-up of performances by AUSMAT students. 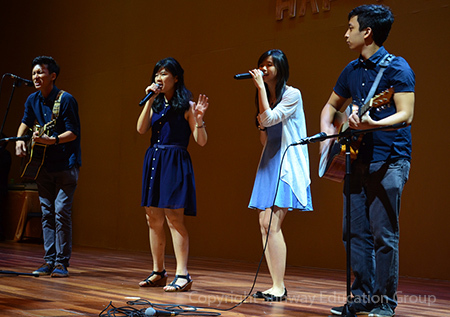 Lecturers and students were entertained with a variety of dance, musical and vocal performances. 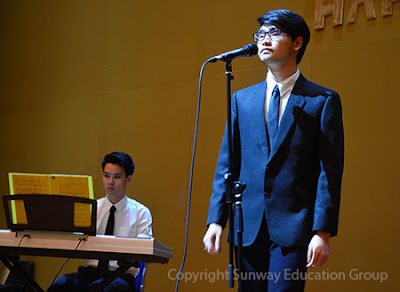 Winner of the Talent Time were duo Calvin Hong Jia Hau and Dexter Wong Xian Yang who performed the song Skyfall by Adele with Calvin on vocals and Dexter on the keyboard. Coming in second place was the group ‘Square One’, comprised of Wong Jia Yi Natalie, Lily Ooi, Loo Yoong Jian and Wong Wern Han. The group who performed a medley of mash-up songs, gave away two movie tickets to one of their lucky AUSMATians who accurately named all the songs. 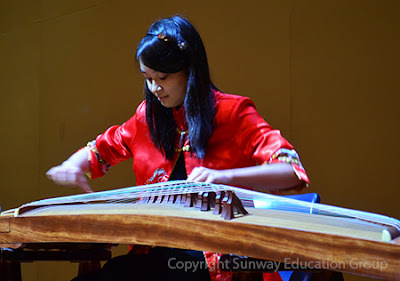 Shireen Chin Mei Yee who thrilled the audience with the song Battling the Typhoon on the guzheng (Chinese harp) came in third. 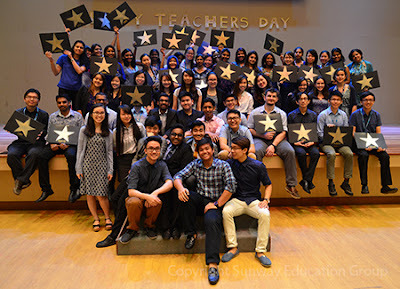 The celebration concluded with the AUSMAT Student Council members presenting the lecturers with their very own ‘stars’.